The Volkswagen model line is one that’s known for reliability and high standards of performance across all of its vehicles. This commitment is especially shown in the Jetta, one of the most popular and iconic sedans of all time. 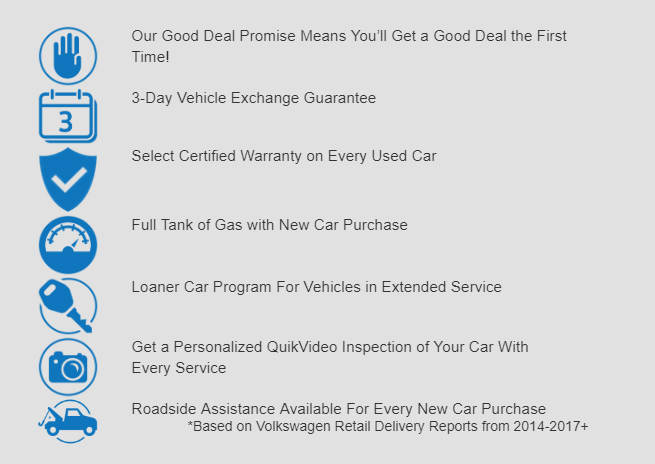 It comes packed with some handy new features and upgrades for 2017, and our team here at Owens Murphy Volkswagen will take you through them! As soon as you put the 2017 Jetta’s pedal to the floor, don’t be surprised at the added kick of adrenaline you’ll get. That’s just the turbo engines being shifted through Volkswagen’s 6-speed DSG® performance transmission, and moving you with high-tuned precision through the Jetta’s 4-corner independent suspension. Speaking of the new Jetta engines, let’s take a look at them! Be advised, though, that if you’re brave enough to take on the 2.0 L turbo engine, you’ll want to get your Jetta premium-grade fuel. Not only does it greatly improve performance and fuel efficiency, but filling up with 91 octane gas makes you look sweet. The 2017 Jetta comes standard with Volkswagen’s Car-Net infotainment system, which allows you to stream media, navigate, and communicate with all your friends hands-free when you connect a compatible phone to the system. You can hear all of this crystal-clear because of the Fender Premium Audio also standard on the 2017 Jetta! Shamelessly jamming to Frank Ocean’s new album isn’t the only thing the Jetta’s technology allows you to do though. Let’s check out some of its other innovations, which have helped the Jetta receive a 5-star NHTSA crash test rating! Like the Golf? Its new Alltrack model is fast approaching! If you’re interested in giving the 2017 Jetta a spin, contact us today at Owens Murphy Volkswagen! We’ll get you behind the wheel for a test drive and, for this month, we’re offering special prices on the new Jetta! Hit us up to get a chance to own your new favorite car!